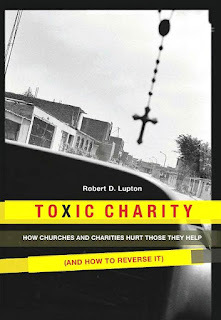 .... We evaluate our giving, Lupton argues, "by the rewards we receive through service, rather than the benefits received by the served." Short-term mission trips are a case in point. Such "junkets" involve expenditures of between $2.5-5 billion annually, yet produce little lasting change, often displace local labor, and distract indigenous church leaders from more important work. We get more than we give when we go. Meanwhile, our relief-oriented, commodity-based charity flourishes at home because even though its effects are irresponsible, it feels good to the givers. 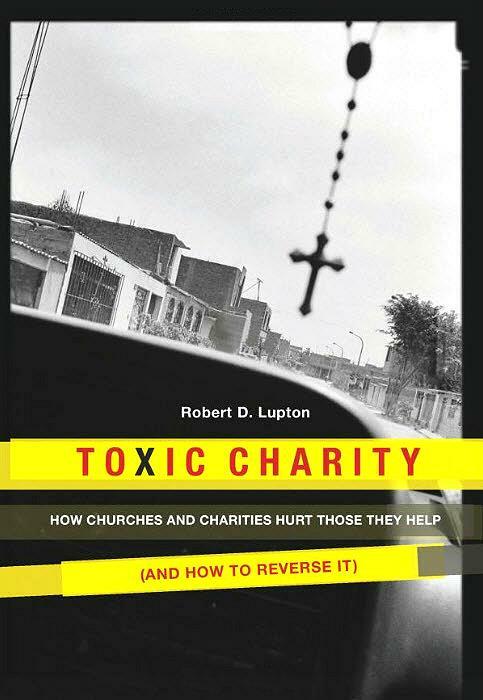 Lupton grieves that "our free food and clothing distribution encourages ever-growing handout lines, diminishing the dignity of the poor while increasing their dependency."